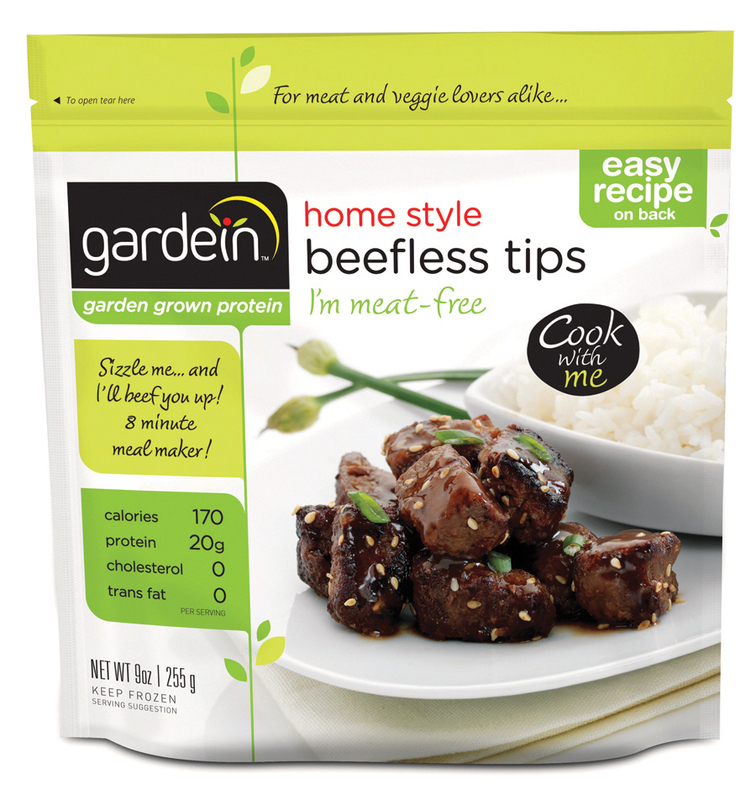 – Remove gardein beefless tips from packages, thaw for 5 minutes, and cut in half. – Cook the rice according to package instructions. – In large bowl combine soy sauce, sesame oil, ginger, garlic clove, and brown sugar. Mix well and set aside. – In a non-stick pan over medium heat, sauté halved gardein beefless tips in vegetable oil for 4-5 minutes caramelizing well on all sides. Remove from pan and set aside. – Add onions, carrot and zucchini to the pan and cook until onions are caramelized and carrots and zucchini are soft, approximately 2-3 minutes. Add soy sauce mixture, cooked beefless tips and spinach and cook until sauce has thickened and spinach has wilted. 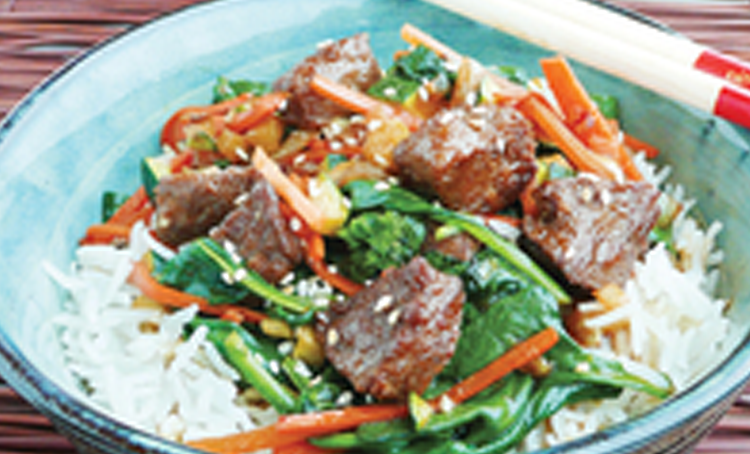 – Serve Korean beefless tips stirfry over cooked rice and garnish with roasted sesame seeds.